What's changed? 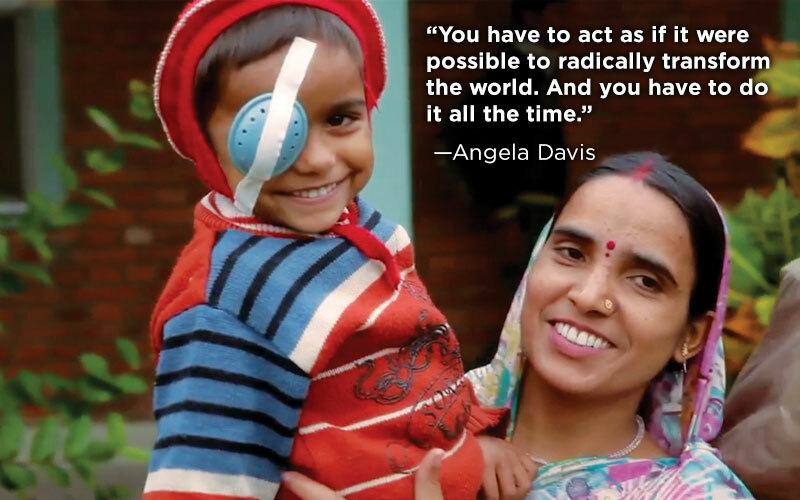 For one, Seva is doubling down on expanding access to eye care in under-resourced regions. Seva staff recently traveled to India with our corporate partner TOMS, solidifying a plan to increase the number of primary eye care centers in India, Nepal and Bangladesh. These centers bring basic eye care to places where people have historically had to travel for hours – or days – just to get a pair of glasses or receive eye health screenings. Increasing access to basic eye care is a critical step toward eliminating avoidable blindness. We're also dramatically increasing our investment in training, sharing experience from established eye care providers with those who are not yet working at full capacity. This year's expansion of our Eyexcel training program into Latin America is another way we are fostering the development of sustainable eye care services around the world. Seva is committed to developing a robust ecosystem of eye care providers who learn from one another and adapt best practices to fit the needs and cultures of their local communities. Together with our partners, we are creating a world in which every person can access the eye care she needs, where a single cataract surgery restores one person's life while expanding opportunity for those around her. Through all these efforts, Seva transforms lives every day by restoring sight. Above: Seva supports access to eye care services in underserved communities around the world.